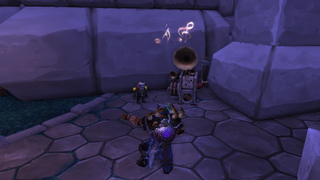 With patch 6.1 World of Warcraft got a Jukebox that plays custom music while we're hanging out in our Garrison. The gadget itself is easy to assemble, but finding all the tunes for it will take some time. Bellular has a nice video showing all the locations for all 40 tracks for both factions. Some will be easy to collect by killing low-level bosses or seeking out certain vendors. But some will be a bit harder and you'll need to visit one of the opposite faction's cities or the Argent Tournament (God no, please no). It worth doing this little tour to grab all the rolls though, since Warlords of Draenor is about spending a significant amount of time in our Garrison, which only has a single song playing by default for each faction (not a bad one though).